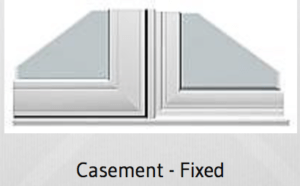 Fusion welded frame and sash. Fusion welding provides maximum strength for window corners and aids in sealing out wind and water. 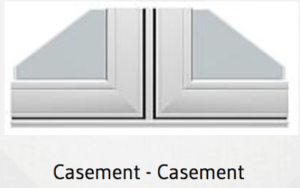 A bulb seal is located around the perimeter of the window sash to form an effective barrier from wind and water when fully closed. 2 Frame seals ensure air tightness. 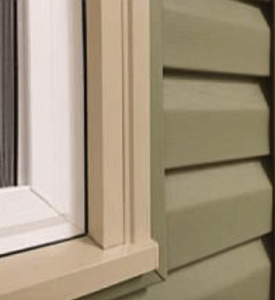 Vinyl sash and frame have multiple chambers that provide dead-airspaces that block the transmission of heat or cold resulting in a window system that helps to maintain interior temperatures. 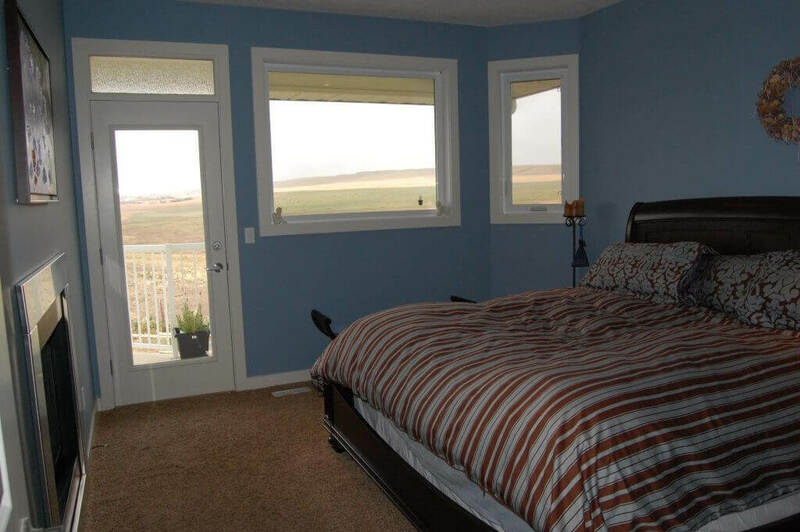 An interior screen made to fit with an overlap frame for neat appearance is securely held in place but easily removable for window cleaning. Fiberglass mesh for reduced visual glare. 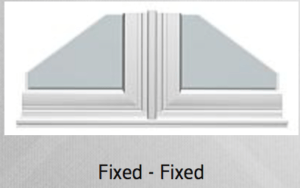 Interior hardware and matching screen bars are offered in white and beige. 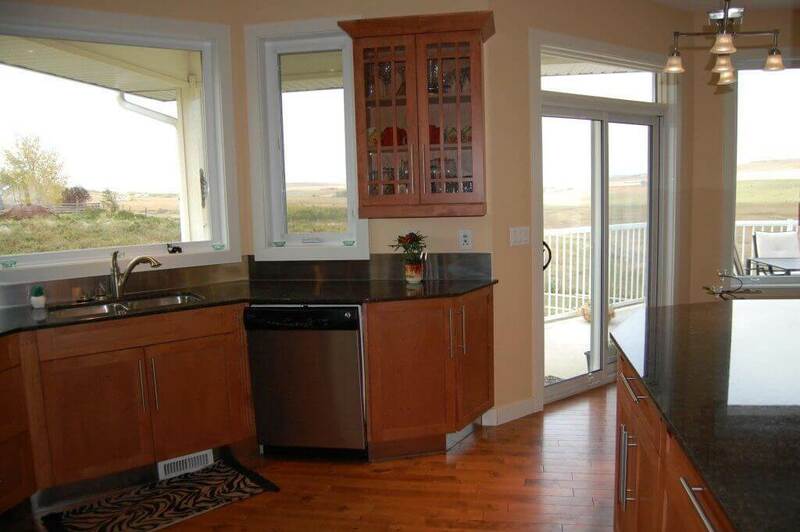 Encore hardware on our casement windows open to 90 degrees to make glass cleaning from the inside simple. (some size restrictions may apply). 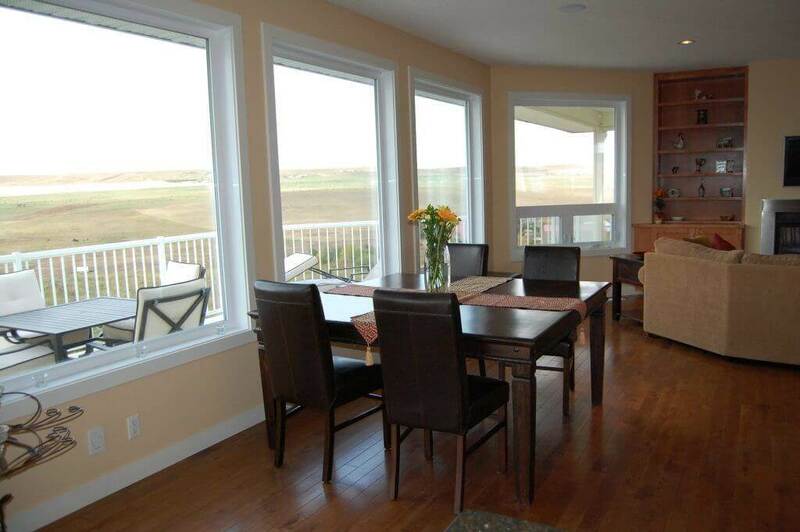 See available vinyl window colours and options. 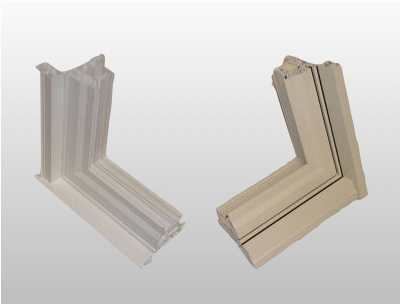 Customize your window frame by adding one of our brickmould options in beige or white to your window frame. 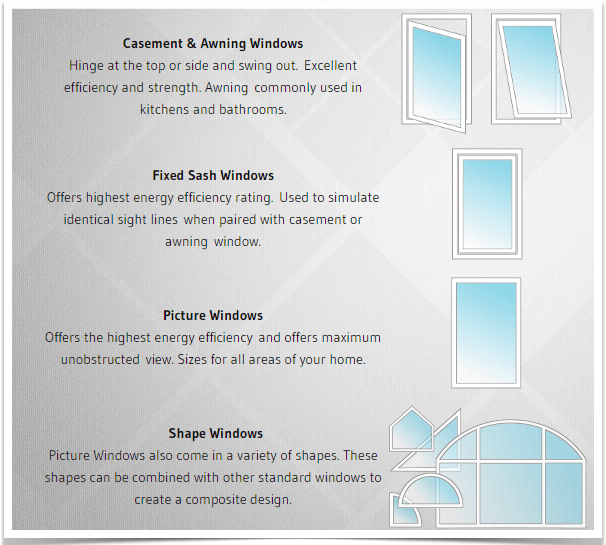 When creating combination windows, different combinations will create different sight lines. 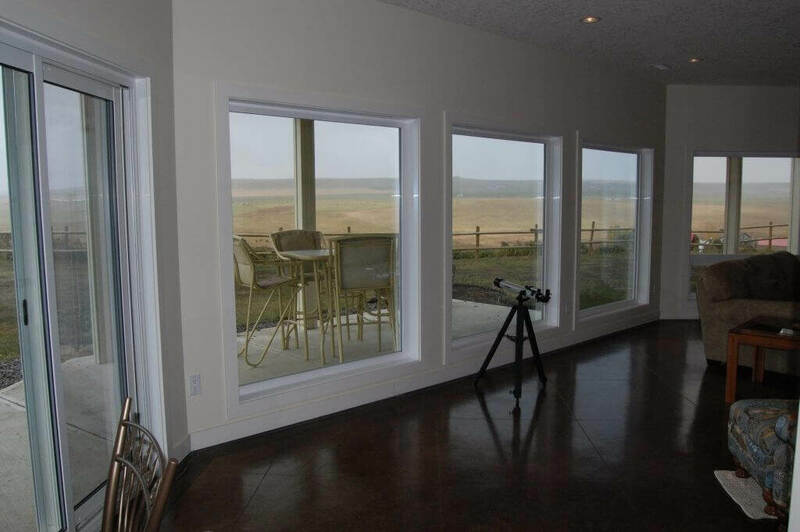 Depending on whether you want to have uniform sight lines or you want to maximize the size of your glass will determine the styles of windows you put together to create a combination window. 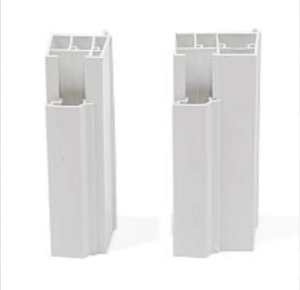 Customize the look of your PVC windows by adding an extruded PVC brickmould trim. 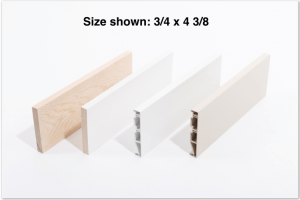 Available in 1 1/2” and 2 1/4” renovation style in beige or white. 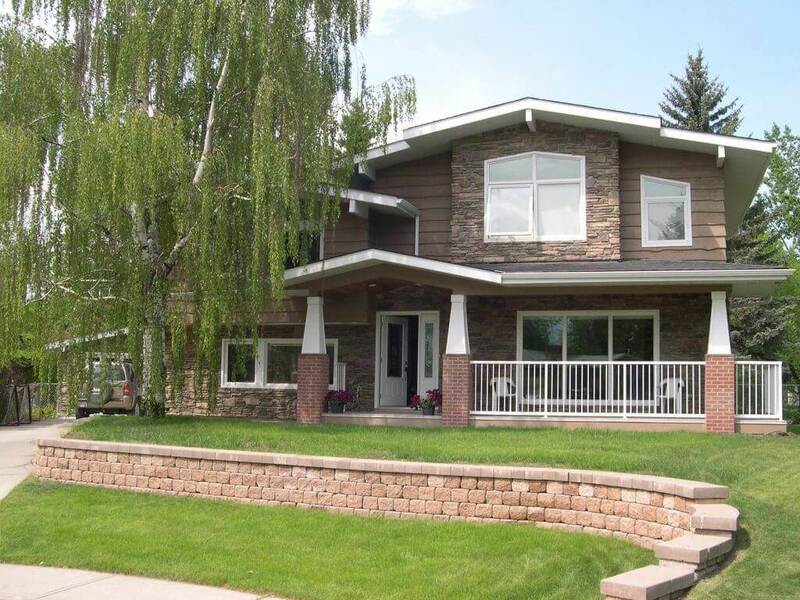 Available in vinyl or wood, our jamb liners can be customized to ensure your inside jambs coordinate with your interior design.